I’m excited to share this fun snack pack idea (plus a free printable) with you today as part of a shop has been compensated by Collective Bias, Inc. and its advertiser. All opinions are mine alone. #WinWinSnacks #CollectiveBias With 3 young boys and a love of travel, it’s safe to say that we’re a family that’s often on-the-go. Whether it’s swim team or soccer practice, school year activities, or a fun trip, we have many busy days! And it’s important to stay fueled and powered up during those busy days especially! So I like to have good snacks available on our adventures that the whole family can enjoy – whether we’re jetting off to an international destination or just to soccer practice! One tasty option is the NEW Jif® Power Ups™! We discovered these on one of our recent summer Target trips and my boys couldn’t wait to try them! Don’t they look tasty?! We thought so! As a mom, I love that peanuts are #1 ingredient and there is no corn syrup! 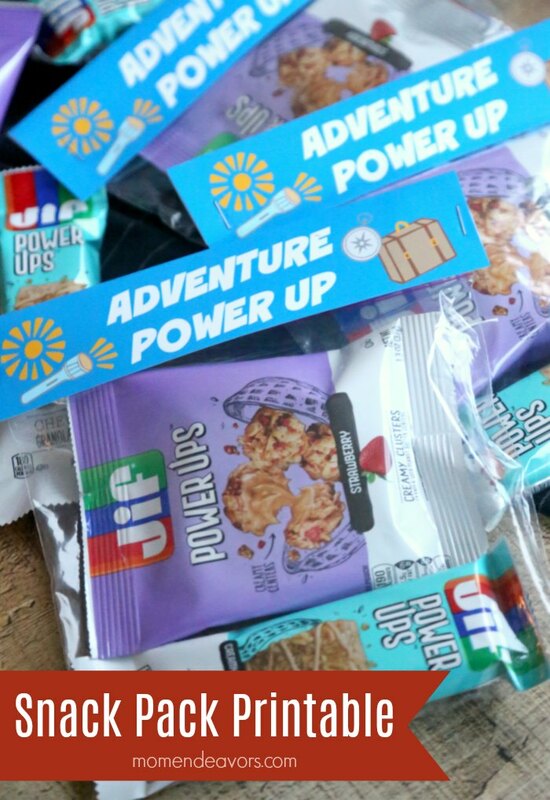 So, these Jif Power Ups™ are a great solution for busy families, providing a portable, convenient, tasty snack! As you can see above, they come in two main varieties: Chewy Granola Bars (Creamy Peanut Butter and Chocolate Flavored with Peanut Butter) and Creamy Clusters (Creamy Peanut Butter and Strawberry Peanut Butter). Look at all that peanut butter goodness! YUM! They come in perfectly portable packaging right out of the box, so they’re convenient and easy to take with you on-the-go as is! But sometimes, especially on big trips, I like make things a little more fun & interesting by making special snack packs for the kids! So, I decided to make a fun printable (that you can download for free below) to put together cute snack packs for an adventure power up! 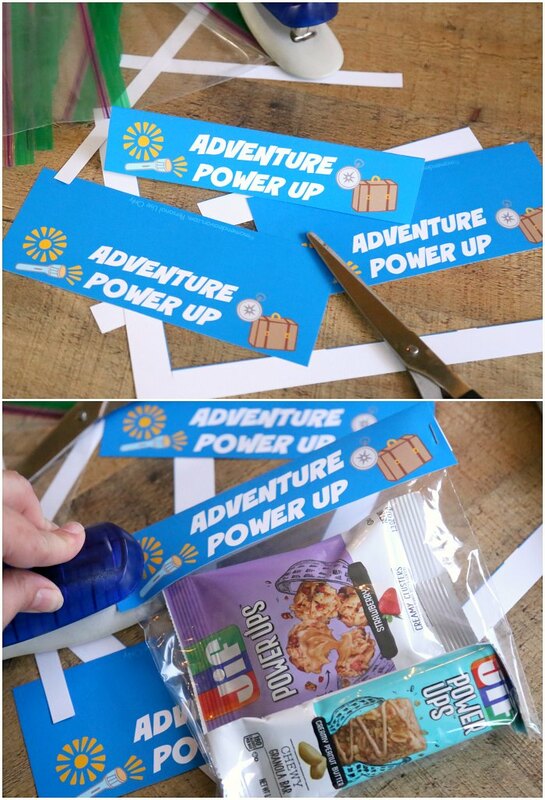 To make your own adventure power up snack bags, you’ll need some sandwich baggies, scissors, a stapler, and our fun free printable! 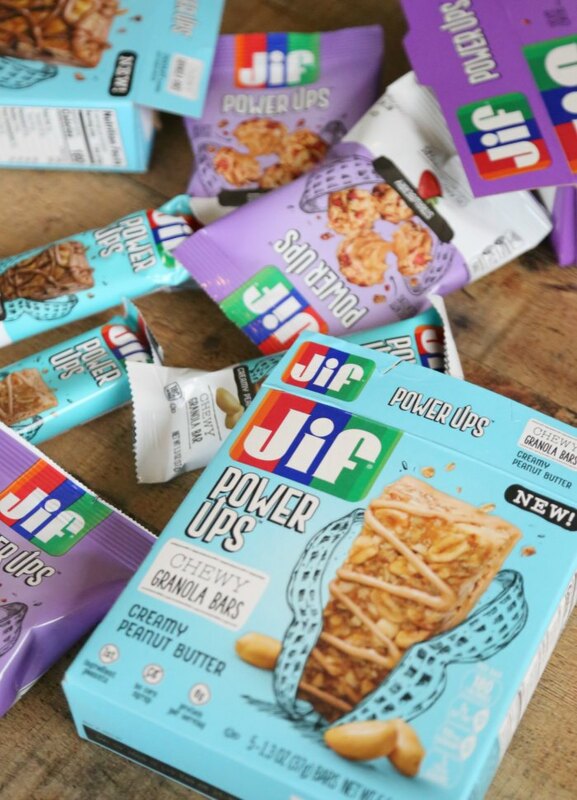 To make your snack bags, just fill the baggie with your Jif Power Ups™ Chewy Granola Bars and/or Creamy Clusters. Then, print the sheet of snack back labels, cut and fold over the top of the baggie. Then staple (or tape) the adventure label on to the baggie! So easy! The result is a cute snack pack, perfect for life’s BIG or smaller adventures! 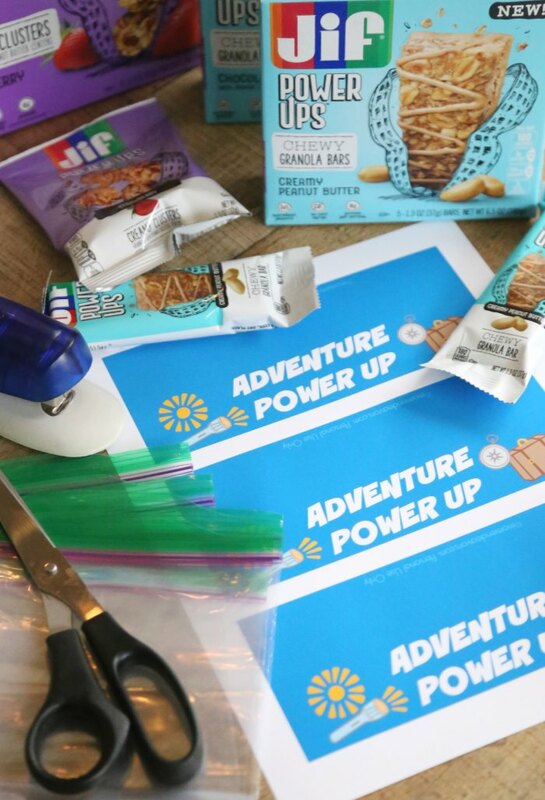 Kids would love finding these little packs in their bag on a hike, on a road trip, or even at summer camp – sure to give your next adventure a power up! 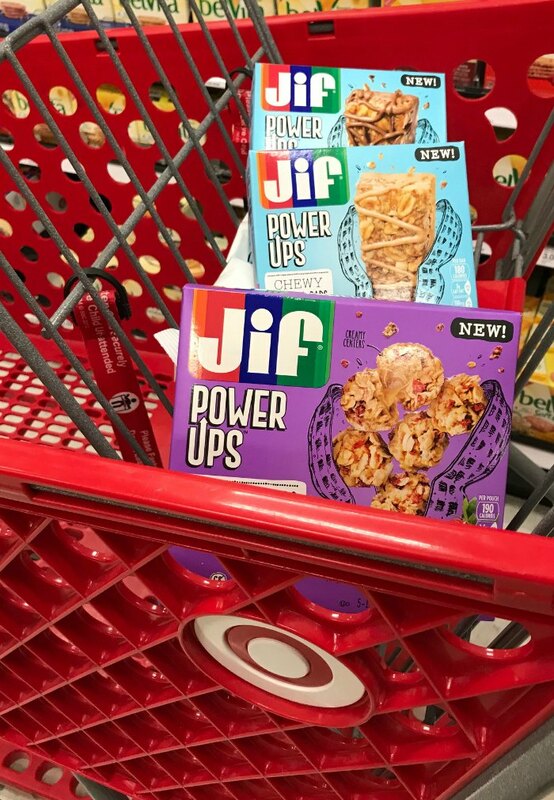 So, the next time you’re at Target (because if you’re anything like me, that is a fairly regular occurrence), be sure to stock up on Jif Power Ups™ snacks! 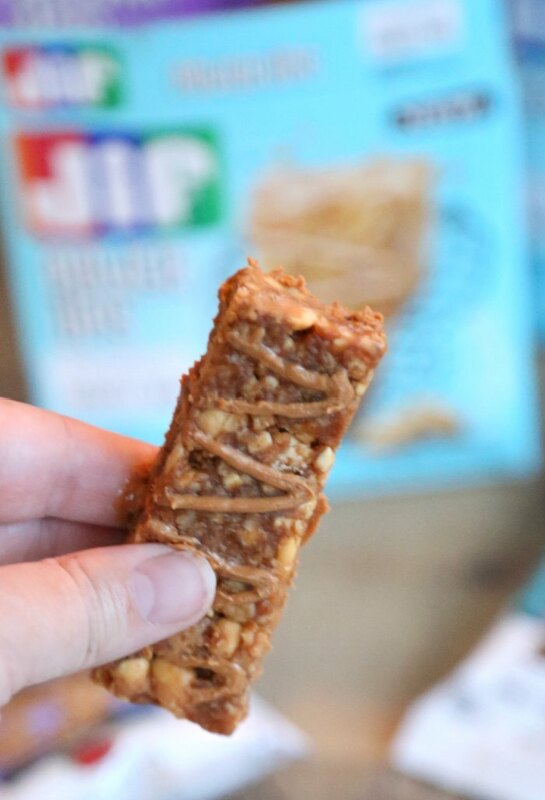 From 7/8/18 – 8/4/18, there’s even an AWESOME Cartwheel Offer to score 30% off any Jif® Power Ups™ snack! They’re perfect to add to the cart when you’re shopping for your next trip adventure…or on the upcoming back-to-school shopping trips! Here’s to powered up adventures! 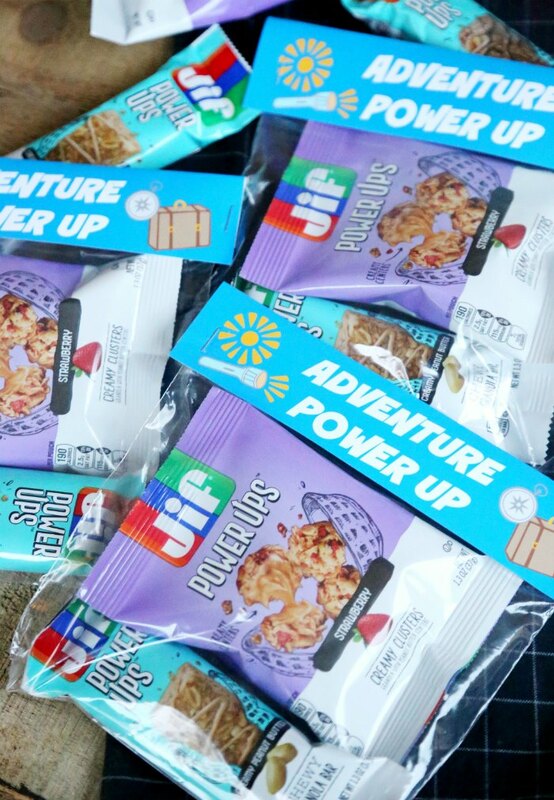 Which Jif Power Ups™ snack do you want to try first?